We had a dinner party last night, celebrating Cindo de Mayo. 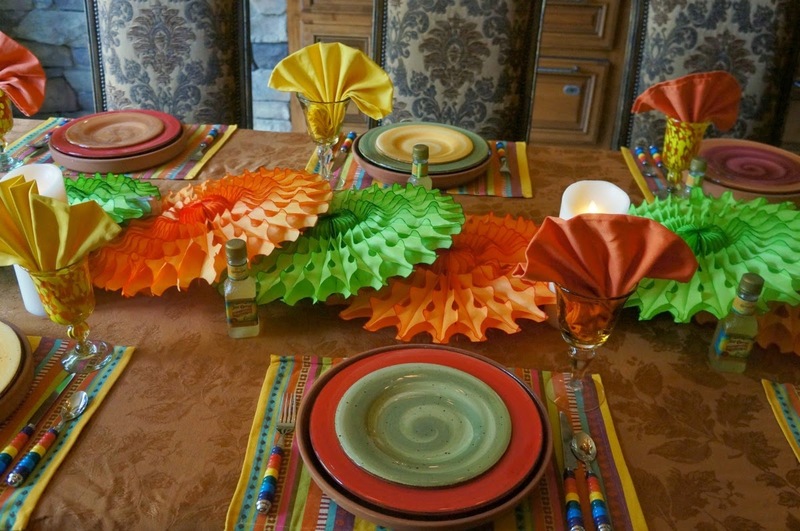 I wanted the table to be fun and colorful, so I used the paper fans from a wedding I did. Using terra cotta saucers for the chargers makes it rustic. Different colored plates and 3 colors of napkins make the table pop. I know you are not supposed to use placemats on top of tablecloths. Someone anonymously commented on a post years ago advising me that. Alycia from Table Twenty-One told me anything goes.....LOL. Thanks Alycia. I used them to add more color to the table and the tablecloth was used to protect the table from water and sangria glass marks. I should have taken more photos. These are not the best, but I was a busy woman. Chicken enchiladas...so yummy. I used a new recipe this time and I must say, it is great! I made two trays of them, so we have left-overs. I also made Mexican rice, refried beans and served pork tamales. 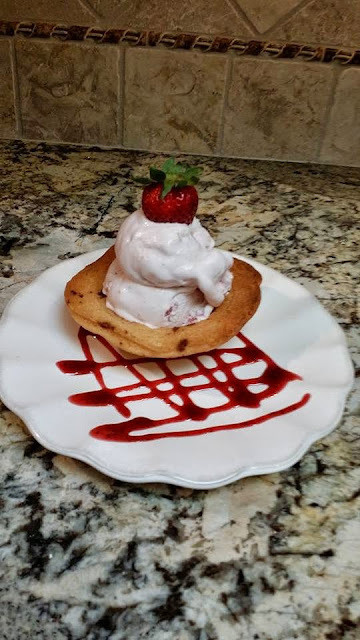 For dessert, I made cookie bowls and homemade strawberry ice cream. The cookie bowls were created from my mini bundt cake pan. I just turned it over and sprayed pam and laid the cookie dough circles on each bundt. Just use your basic cookie dough recipe or change it up with flavors or mini chocolate chips. Wilton makes a special pan. I thought why not get creative and use what I have. They don't have the ruffled edge. 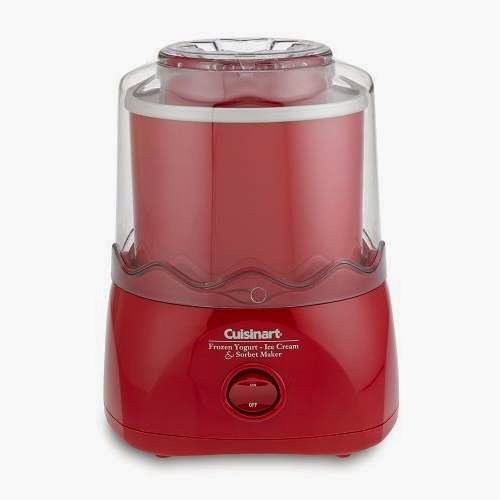 I used my Cuisinart Ice Cream Maker. The change he made was adding 7-up to the mix and strawberries. We forgot to take a picture of it. Here's a picture from Food and Wine. A nice evening with friends. Have a great week! Linda - this is so lovely! You are such a great hostess and everthing is oerfect even down to the last detail - and the food looks sinfully delicious. and I'd be honored (if you have time) if you'd link up some of your favorite tables on my new link party I just started. If not It's going to run every monday morning....again - what a wonderful table. Your table looks so festive and the food looks scrumptious! What a fun party!! Loved everything from your menu to the decorations to the drinks!! Pottery plates for chargers......what a great idea! So fun!! My mouth is watering! Thank you for a new enchilada recipe and an easy idea for cookie bowls! Not only does the table look wonderfully festive and so Mexicana, the food looks and sounds awesome. We love Mexican food around here, it is one of our favs. HA! I tried making those cookie bowls over the back of the pan like that!! They never came out looking as good as yours! Mine spread all over and collapsed immediately!! That is why I usually stick to just setting the table and not blogging about the food!!! Everything looks great!! Oh, I love all the bright colours on your table, Linda! I put placemats on tablecloths all the time and I think it looks fabulous. Those plates are fabulous, I love the design on them - so festive. I can see why you were so busy - dinner and dessert looks fabulous! I like that Sangria recipe, too. You really are a fabulous hostess, Wonder Woman. Wow your table looks marvelous! Love all the color! That's interesting that someone would say you aren't supposed to use placemats with tablecloths. I have a set from Macy's made by Waterford that comes with a tablecloth and a set of placemats that match. Seems like they wouldn't sell it that way if it wasn't ok to use! I agree with Alycia! The food and dessert looks so good! Lucky the guests that come to your home! Your dinner looks so fun! We are such fans of Mexican food, but haven't had a fiesta themed party in ages..hmmm. Thanks for the recipes and also for the cookie bowl idea, very cute. Yummm!! I need to make those chicken enchiladas. When I lived in S. CA we had access to excellent Mexican food. WA state doesn't have many options .. so I need to get more creative at home. Love all the color and fun here today:) and looks like a fun celebration! You BET I said anything goes!!! As long as it looks good...go for it!!! And this looks good, Linda! I'm sure there are many "purists" who are sniffing so profusely right now that they won't have to vacuum later, but I think it's absolutely, 100% OK as long as there's a reason for it whether that reason is utilitarian or aesthetic. I remember the wedding you did with those pretty, colorful paper fans! That was a couple of years ago when you and I first starting chatting! You had them all behind the head table, I think? Or maybe it was the buffet table. At any rate, I remember them! They're in incredibly great shape, and they look terrific here. They take on a whole new life! They remind me of the pretty dresses worn by some women in Mexico. I'm going to hop over to AllRecipes to check out that sangria recipe. 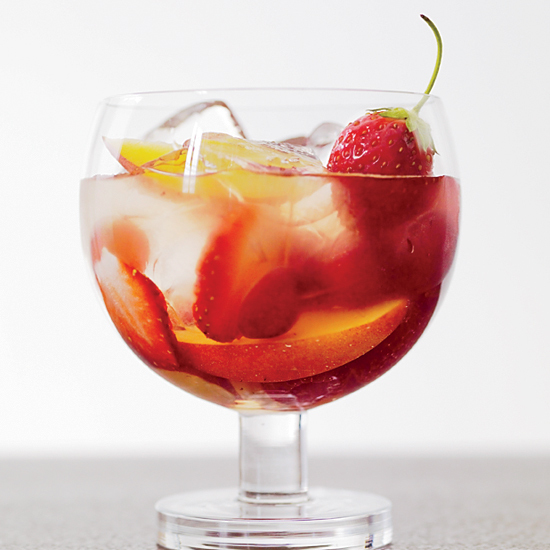 My sister loves it, and it's always a great drink to serve at parties in the summertime. I'm looking to spice it up a bit, so that 7-Up sounds really great! Hi Linda, What a perfect setting to celebrate Cinco de Mayo. Love all the wonderful colors and details on this table. So inviting and just says, welcome and enjoy. Really wonderful fans down the table and I love those cookie bowls. Have a great mid week and a Happy Mother's Day this weekend. It sure looks like it was a fun and festive night. HI Linda! Oh, I'd love to be able to come to one of our parties! The table looks wonderful and I like your placemats ontop of the tablecloth! 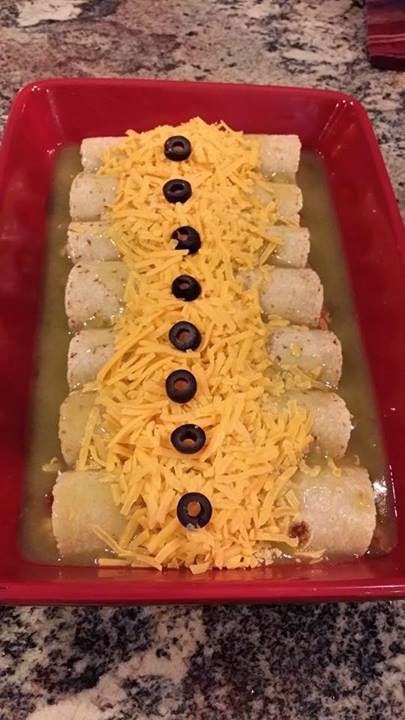 Your enchiladas look so delicious! I'm sure all of your guests had a great time! What a fabulous 5 de Mayo tablescape Linda with that amazing centerpiece, that I totally love! The food looks amazing and I love that pan! I'd be so happy to be at your party, specially this fun one! Wish you a wonderful Mother's Day sweetie! Linda thanks so much for joining us at Table It Link Party and hope you can join us at it's regular time of every monday 7 am...and Happy Mothers Day to you Tomorrow! What a great dinner party Linda! Your table looks so festive and fabulous. The cookie bowls are an incredible idea - thanks for sharing the secret of them with us. It's been so fun catching up with your posts! Oh how fun! I love your ideas, Linda! Your table setting is so bright and colorful and your meal looks delicious.